Crooked bridges are a common element designed into Japanese gardens. This construction is based on folklore that bad spirits can move only in straight lines. 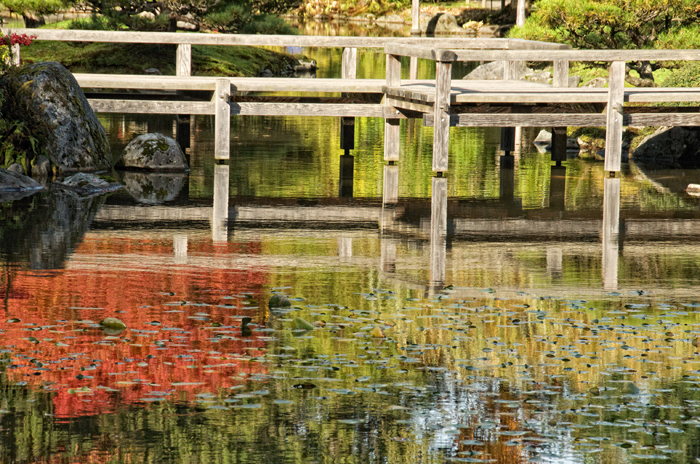 As a mother might tell her young child, “bad spirits can’t get into the garden over a crooked bridge.” This beautiful bridge in the Seattle Arboreteum’s Japanese Garden begs to be captured in reflection as one experiences the peace and tranquility of the garden.